" In this incomprehensible landscape, only the sea is horizontal, while all that is land is almost perpendicular." 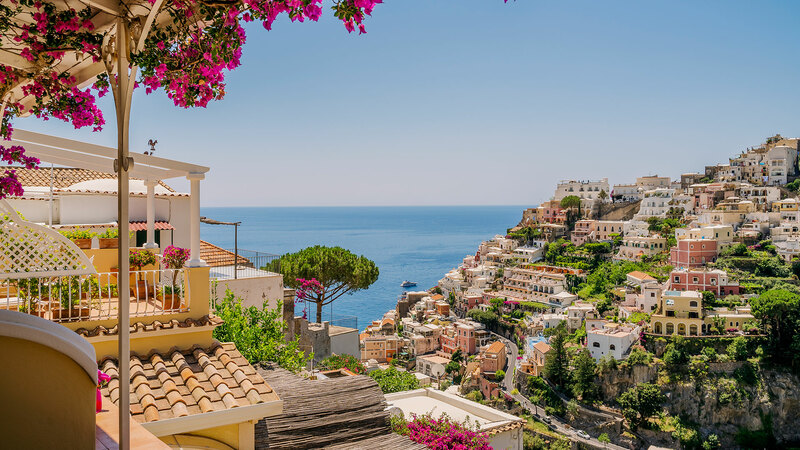 When you think of Positano, you imagine an intricate maze of cobbled streets, overlooked by whitewashed homes and sumptuous eighteenth-century baroque residences climbing the hillside, and renowned artisans' shops displaying ceramics, leather sandals and light, floral-patterned linen dresses. And then, the sun's rays filtered through pergolas of exuberant bougainvillea, artists painting in streets glimpsing a unique landscape suspended between sky and sea, romantic sunsets over the Spiaggia Grande (Great Beach), looking out over the scenic Amalfi coast and the nearby islands of Li Galli - inhabited, according to legend, by the sirens who lured sailors to their doom with their melodious songs. 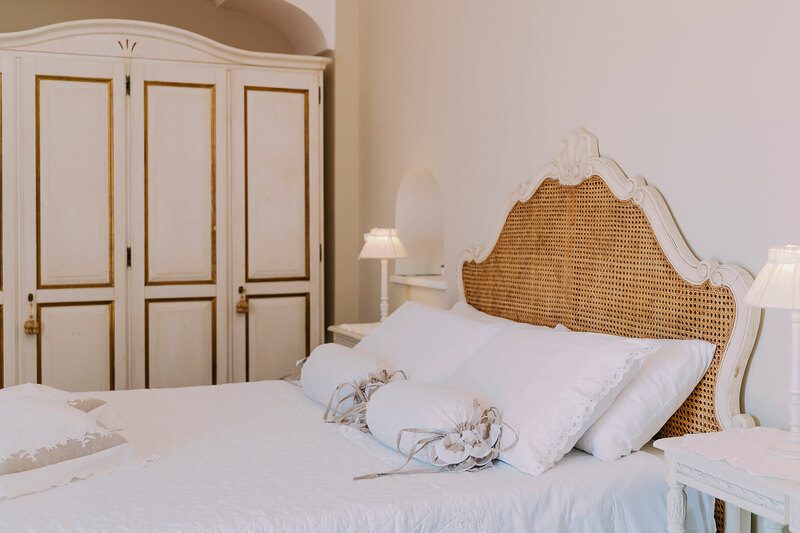 Located in a recently renovated 19th century Mediterranean residence, Villa Mary Suites offers a peaceful and relaxing stay in the pearl of the Divine Coast, immersed in a worldly atmosphere of almost magical features, composed of intense scents, warm colors, age-old traditions and deep emotions. Welcome to Villa Mary. Welcome to Positano. Fresh and bright, this is the room where the warm shades of wood mix together with precious local crafts. 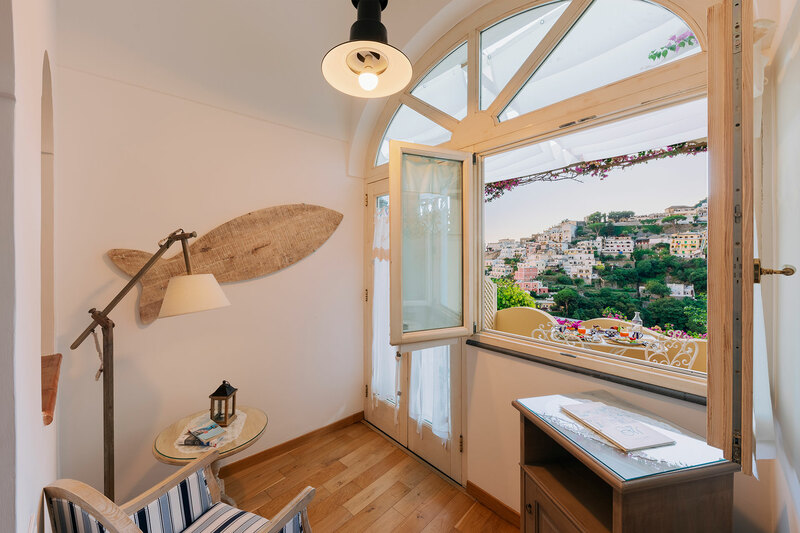 Welcoming and comfortable, Calipso is an invitation to a wonderful journey discovering the beauty of Positano! Elegant and refined, Minerva will let you to live an unforgettable experience in one of the most suggestive places in the world! 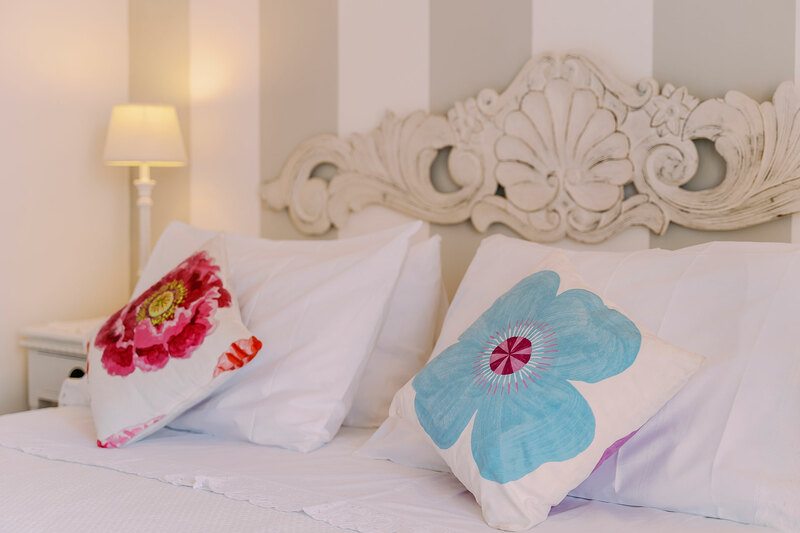 Venere will welcome you in a warm and friendly atmosphere, enchanting you with a stunning view on the bay of Positano! 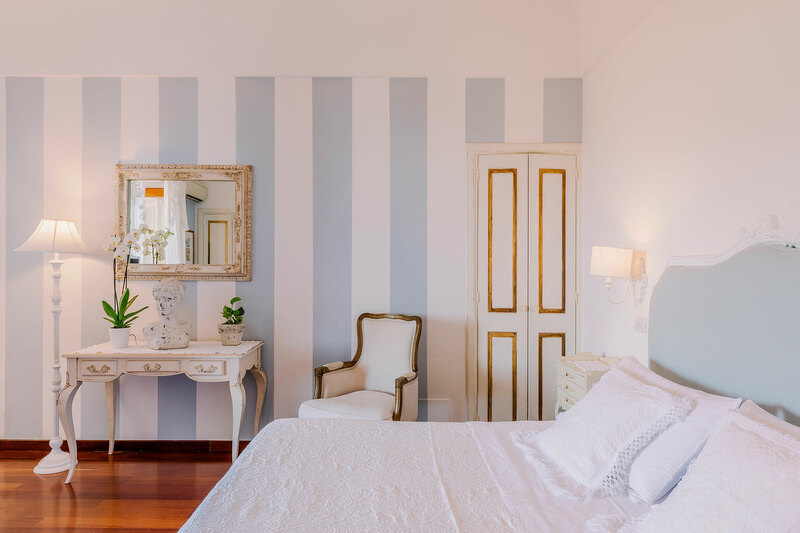 When romanticism meets love for beauty and good taste, here’s Diana room: what are you waiting to book? 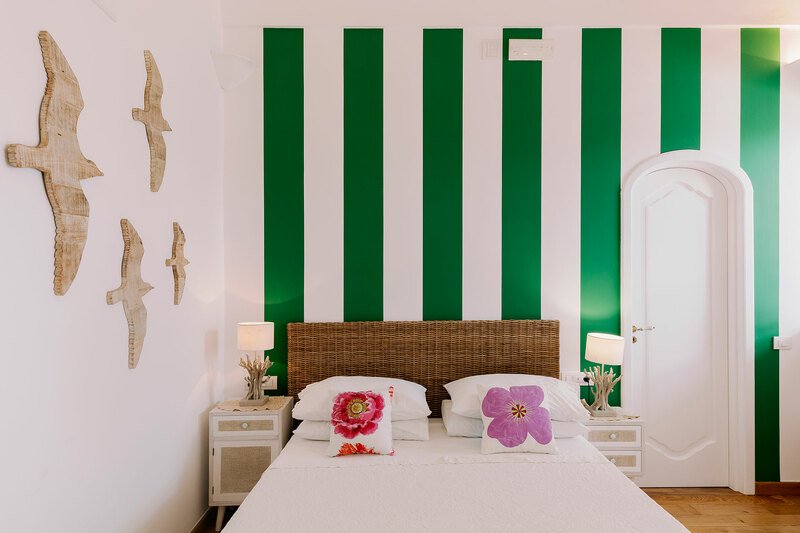 Laurito, Arienzo and Fornillo are the three jewels of Maison Liparlati, an elegant and exclusive property located in the very heart of Positano, surrounded by its characteristic cluster of whitewashed houses in pastel colors. Laurito, Arienzo and Fornillo are the three jewels of Maison Liparlati, an elegant and exclusive property located in the very heart of Positano, surrounded by its characteristic cluster of whitewashed houses in pastel colors which has always impressed internationally renowned artists and poets for its refined and suggestive atmosphere.